At BM Engineering, exceptional customer service is in our DNA. We deliver the same bespoke and responsive service to all our customers, whether it’s a single valve for a small contractor or a full valve installation for a blue-chip company. The excellent customer service that we provide, along with our high-quality supply chain make BM Engineering a market leading supplier to industry. BM Engineering offers a wide range of quality products and services to meet your specific application requirements, whether you are looking for automated dairy farm products or renewable energy equipment. We can supply some of the industry’s finest valves, actuation packages and ancillary products. We also provide complete technical assistance, ranging from sizing and selection advice, through to full assembly and testing. As a long-established supplier of valves and ancillary products, we take a lot of pride in every area of service that we provide. Take a look at our industry sectors list below for more information about all of the sectors that we serve. The distilling industry has always been one of the biggest sectors of supply for BM Engineering. Over the last few years there has been a marked increase in not just new distilleries but upgrades and expansions in many of the established ones. BME has been heavily involved in the supply of valves, instrumentation and associated equipment for all distillation use. From the start of the malting process right through to maturation, BME are the company who will advise and assist with the highest quality equipment for every aspect of the distillation process. The popularity of craft ales has led to a growing number of breweries plying their trade across the UK. The popularity of craft brews has prompted an increasing demand for industrial automation in breweries, and this is where BME comes into play. Breweries can take full advantage of this technology to help improve efficiency and streamline their processes. This thirst for automation has led BM Engineering to partner with instrumentation giants, such as Bürkert and Inoxpa, to provide the best available products for all brewery applications. In the pharmaceutical industry, sterile and hygienic conditions are vital. At BM Engineering, we have teamed up with hygiene and fluid control experts, Inoxpa and Bürkert, both of whom manufacture products specifically for the pharmaceutical industry. These partnerships allow us to supply automated control systems, components and pharmaceutical equipment that ensure sterile conditions for all your processes. BM Engineering is a leading exponent of Food and Beverage instrumentation for specialist applications. For high performance, hygienic and reliable F&B products, BM Engineering recommends Bürkert. Their technology has evolved considerably over the years, leading to improvements in design, efficiency and reliability. 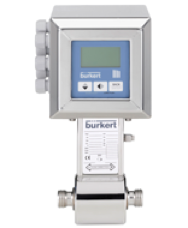 BM Engineering is an official Bürkert distributor, which means that we can provide their full range of high-quality food and beverage valves and other food industry equipment. In modern dairy farms, very little would be possible without automated control systems and complex monitoring technology for liquid media. BM Engineering supplies all of the products and systems necessary for all your dairy technology needs. We are partnered with Bürkert and Inoxpa, both of whom are leading manufacturers of automated dairy farm components, and we can provide all of the instrumentation you will need to control your fully automated dairy farm. BM Engineering Supplies is one of Scotland’s leading renewable energy equipment suppliers. The renewables sector, and the need for renewable energy, is increasingly becoming a growth area in the UK and globally. As such, BM Engineering can provide all of the essential renewable energy equipment that you might need, including ball valves, knife gate valves and v-ball control valves.